Chris Herrmann played mostly left field at the University of Miami and stayed in the outfield to begin his professional career, but the 2009 sixth-round pick has since moved behind the plate while showing enough to possibly stick at catcher long term. He's still rough around the edges defensively at age 24, totaling 11 errors and seven passed balls in 108 games, but Herrmann has also thrown out 37 percent of steal attempts. He's not quite a full-time catcher, seeing about half of his action last year as a corner outfielder and designated hitter, but even as a part-time catcher with some question marks defensively Herrmann is the closest thing the Twins have to a decent prospect at the position. Offensively his primary skill is fantastic plate discipline, as Herrmann tied for the system lead with 79 walks in 121 games between high Single-A and Double-A last year while striking out only 74 times. Unfortunately he also batted just .269 and is a career .258 hitter with just 17 home runs and a .377 slugging percentage in 287 games. As a full-time catcher with sound defensive skills the walk-drawing alone could be enough to make him a starting-caliber all-around player, but if instead Herrmann ends up as a defensively challenged part-time catcher and part-time corner outfielder the bar will be raised enough offensively that he'll need to add some power. As a Vanderbilt freshman Corey Williams made a name for himself on YouTube with a clip that's been viewed a half-million times showing him taking a line drive off the leg and recovering to get the out at first base before writhing in pain with what turned out to be a shattered kneecap. And if watching someone's kneecap explode on the field isn't enough, the X-rays are equally cringe-inducing. Williams recovered from the gruesome injury but wasn't effective as a sophomore, throwing 38 innings with a 4.49 ERA and 37-to-14 strikeout-to-walk ratio as a reliever, but the Twins picked the left-hander in the third-round on the basis of his mid-90s fastball. And according to Baseball America he may have gone even earlier if not for the assumption he'd be a tough sign, which is why the Twins had to spend double the recommended slot amount with a $575,000 bonus. He debuted at rookie-level Elizabethton with a 3.86 ERA and 11-to-5 strikeout-to-walk ratio in 12 innings. Between college and the minors he's thrown just 67 innings during the past three years, so staying healthy and getting some consistent work should be the primary goal for Williams in 2012. He has the raw stuff to move pretty quickly through the system if the Twins keep him as a reliever. Angel Morales was the Twins' third-round pick out of Puerto Rico in 2007 and emerged as one of their top prospects by showing an impressive power-speed combo in the low minors. He was a rookie-ball monster in 2008, hitting .301/.413/.623 in 54 games, and then slugged .455 at low Single-A as a 19-year-old. His power disappeared in 2010, but Morales hit .280 with a .362 on-base percentage while improving his plate discipline between two levels of Single-A. Even while he was thriving as a young center fielder in the low minors Morales' high strikeout rates stood out as a potential red flag, but it was injuries that did him in last season. He repeated high Single-A and missed all but 37 games with an elbow injury, struggling when in Fort Myers' lineup and then going unpicked in the Rule 5 draft when the Twins opted against protecting him with a 40-man roster spot. Morales is still just 22 years old, so if healthy he's capable of re-emerging as a top prospect this season, but five years into his pro career he's yet to advance past Single-A and his upside remains more about physical tools than actual production. Staying in the lineup will be the biggest key for Morales in 2012, but he also needs to either cut down on the strikeouts or rediscover the power he displayed early on. Signed out of Germany as a 16-year-old in 2009 and given an $800,000 bonus that ranks as the highest ever for a European position player, Max Kepler's first two pro seasons have been encouraging despite modest raw numbers. He's hit a combined .272/.347/.356 in 87 games between two levels of rookie-ball, upping his power from non-existent to sub par last season at Elizabethton while maintaining a solid walk rate. Kepler is years from potentially entering the Twins' plans and at this point it's tough to even get a feel for what type of player he might become, but for a raw teenager to hold his own right away is certainly a positive sign. His physical tools include above-average speed and athleticism, leaving center field as a possible long-term home, and at 6-foot-4 he should add significant strength along the way. In addition to being an intriguing prospect Kepler also has a very interesting back-story, as his American-born mother and Polish-born father met while starring together in the Berlin ballet. Kepler should provide a clearer picture of his upside if the Twins let him take a crack at full-season competition for the first time in 2012, but it's important to remember that he didn't turn 19 years old until last month. Niko Goodrum had one of the worst debuts you'll ever see from a second-round pick, batting .161 with 34 strikeouts in 36 games at rookie-ball after the Twins selected him 71st overall out of a Georgia high school in 2010. Those struggles weren't overly alarming because Goodrum was considered very raw at the time of the draft and last season the switch-hitting shortstop's impressive physical tools were on full display. He moved up one level of rookie-ball and hit .275/.352/.382 with 15 extra-base hits and eight steals in 59 games for a star-studded Elizabethton lineup that also included Miguel Sano and Eddie Rosario. Goodrum still had trouble making consistent contact, whiffing 56 times in 230 plate appearances, but he also drew 21 walks and finished the Appalachian League season on a very strong note by hitting .341/.438/.489 in 26 games during the final month. Like most teenage shortstops he made a ton of miscues, committing 24 errors in 54 starts, but Goodrum's arm is shortstop-caliber and depending on how his 6-foot-3 frame fills out there's a shot he could play the position long term. Goodrum also saw some action at second base and seemingly has the skills to be a center fielder if moving away from the infield proves necessary. He's a long way from the majors, but ranks among the Twins' most intriguing prospects. • Jamey Carroll's deal was initially reported as two years and $7 million, but the actual details are slightly different. Carroll will get $2.75 million in 2012 and $3.75 million in 2013, and there's also a $2 million team option or $250,000 buyout for 2014 that becomes a player option with no buyout if he tops 400 plate appearances in 2013. Most likely it'll wind up being a two-year, $6.75 million deal, but it could become a three-year, $8.5 million contract. Obviously committing multiple seasons to a 38-year-old middle infielder isn't ideal, but Carroll's deal seemed like a fair one to me at the time and looks even better now compared to a pair of middle infielder signings that followed. Mark Ellis got two years and $8.75 million to basically replace Carroll on the Dodgers. They're similar players, but Ellis hasn't played shortstop since 2005 and is coming off a career-worst season that saw him hit just .248/.288/.346 at age 34. Clint Barmes got two years and $11 million from the Pirates, who'll use him as their everyday shortstop. All things being equal Barmes might be a better choice than Carroll for the next two seasons because he's five years younger and an elite defender with 15-homer power, but the money isn't close to equal and Barmes has also hit just .230/.275/.360 away from Colorado. Even with Coors Field included his .302 on-base percentage is 54 points below Carroll's mark. • Reported changes in the soon-to-be-signed collective bargaining agreement would eliminate compensation for Type B free agents, meaning the Twins would receive nothing if Jason Kubel signs elsewhere. Getting rid of the Type B free agent designation and lessening the number of Type A free agents qualified for compensation seems like bad news for the Twins long term, as they lose more free agents than they sign and rely heavily on the extra draft picks. Not trading Kubel was a questionable decision when the Twins assumed they'd be receiving a supplemental first-round pick if he left as a free agent, but if that compensation for Kubel and other Type B players is eliminated they'll obviously regret the non-move. Instead of cashing him in for a decent prospect or two they'd get nothing, although certainly you can't blame the Twins for not being able to predict the future of collective bargaining changes. • Phil Dumatrait re-signed with the Twins on a minor-league deal after being trimmed off the 40-man roster. Dumatrait's track record shows that even his limited success involved pitching way over his head, but as Triple-A depth he's fine. Along with Dumatrait (and Brian Dinkelman and Jared Burton, who signed last week) the Twins also inked minor-league deals with Jason Bulger, Brendan Wise, Matt Carson, Wilkin Ramirez, Samuel Deduno, and Luis Perdomo. When the Angels acquired Bulger from the Diamondbacks for Alberto Callaspo in 2006 he was a potential late-inning reliever, but injuries and control problems have held him back and now he's 32 years old with just 133 career innings in the majors. On the other hand he has a 4.33 ERA and 138 strikeouts in those 133 innings and throws in the low-90s with a good curveball, so the right-hander could be a midseason bullpen option. Perdomo throws hard and spent 2009 in the Padres' bullpen with a 4.80 ERA and 55/34 K/BB ratio in 60 innings, but the 27-year-old righty has been mediocre at Triple-A since then and mostly just adds to the sudden collection of relievers with big velocity and little else. Wise and Deduno don't fit that mold, topping out in the low-90s. Wise's pretty ERA at Triple-A hides poor secondary numbers and Deduno is a ground-ball guy who doesn't miss bats or throw strikes. Carson and Ramirez are both journeyman outfielders with brief stints in the majors who'll add some speed and right-handed pop to Rochester's lineup. Carson has hit .280/.343/.515 in 378 games at Triple-A, including .279/.337/.533 with 24 homers and 11 steals in 112 games this year at age 29. Ramirez is 27 years old and has hit .247/.308/.431 in 270 games at Triple-A, including .267/.307/.458 with 11 homers and 19 steals in 81 games this season. • Bulger, Burton, Dumatrait, Dinkelman, and Carson are examples of the type of guys available on minor-league deals every offseason, which is why it's so confusing that the Twins decided to give 40-man roster spots to similarly mediocre talent like Matt Maloney and Jeff Gray. They can always drop Maloney and Gray from the 40-man roster, of course, but in the meantime the deadline to add prospects newly eligible for the Rule 5 draft came and went. Oswaldo Arcia, Carlos Gutierrez, and Tyler Robertson were the three additions, protecting them from being selected in next month's draft, but the Twins also left decent prospects Angel Morales, Manuel Soliman, and Tom Stuifbergen unprotected and changed David Bromberg from protected to unprotected by outrighting him off the 40-man roster. 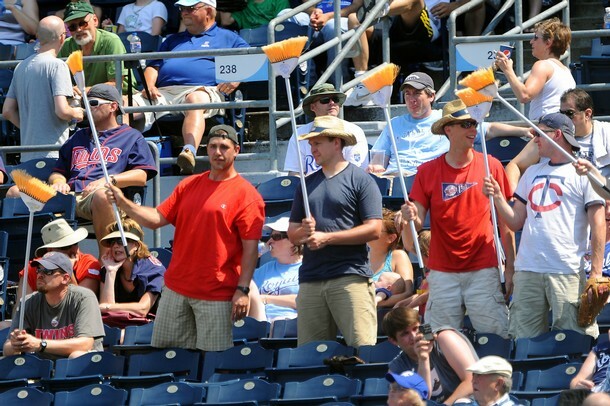 Odds are that none of those four will be Rule 5 picks, but it certainly wouldn't be shocking if the Twins lost someone. Bromberg was named Twins minor league pitcher of the year in 2009, but saw his stock drop with the jump to Double-A and Triple-A in 2010 and missed most of this year after a line drive broke his forearm in May. He ranked No. 13 on my list of the Twins' best prospects coming into this season and will probably drop into the 20-30 range for 2012, which is also where Morales, Stuifbergen, and Soliman will likely end up if they remain in the organization. • Delmon Young's postseason power surge caused some people to overreact about the Twins dumping him in mid-August, but now Jon Paul Morosi of FOXSports.com writes that the Tigers are trying to deal him because they're "concerned about his defense." They apparently offered Young to the Braves for Martin Prado, but were turned down. And if the Tigers keep Young for 2012 they'll likely be paying him at least $7 million in his final season before free agency. • Trevor Plouffe may have set a record for the shortest time between replacing someone who was in the doghouse to being buried so deep in the same doghouse that the original guy was freed. Called up from Triple-A on May 3 when the Twins had seen enough of Alexi Casilla as a starting shortstop, Plouffe went 2-for-4 with a homer in his first game to get everyone's hopes up about his strong start at Rochester taking precedence over seven seasons of mediocrity. Three weeks later he was benched and then sent back to Triple-A after hitting .200/.310/.383 with a varied assortment of defensive miscues. Plouffe struggled on both sides of the ball, but ultimately .200/.310/.383 is almost exactly the type of production you'd expect from someone with a .255/.306/.430 career mark in 307 games at Triple-A and his defense at shortstop has always drawn mixed reviews at best. He played like he should have been expected to play. Based on Plouffe's track record he projected as a utility man, which is why he ranked just 32nd on my annual list of the Twins' prospects. 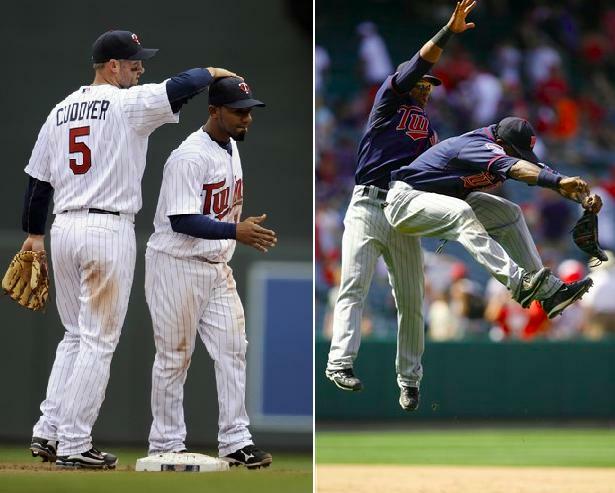 That his predictable struggles when thrust into the lineup as a starting shortstop resulted in heavy public criticism from Ron Gardenhire and harsh words from the mainstream media shows just how desperate the Twins were for middle infield help and how willing people were to overlook years of mediocrity because of a good month. • Meanwhile, after hitting .167 in April to lose his starting job Casilla has batted .329/.409/.447 in 29 games since May. Apparently he was worried that people might cease referring to him an enigma. Not only did Casilla escape from the doghouse and move back into the starting lineup, Gardenhire reversed course and resumed playing him at shortstop even when Matt Tolbert is also in the lineup. Unfortunately we've seen hot stretches like this from Casilla before and, much like with Plouffe, there's a long enough track record of mediocrity that one strong month shouldn't change his long-term outlook. Casilla was a career .249/.306/.327 hitter going into this year and he's now hitting .262/.335/.352 this season. His recent play and the Twins' lack of alternatives certainly makes turning back to Casilla a worthwhile move, but he's still not a quality everyday player. • To replace Plouffe on the roster the Twins called up Brian Dinkelman from Triple-A, which is interesting because in doing so they had to place him on the 40-man roster for the first time at age 27 and bypass a superior left-handed-hitting prospect in Rene Tosoni. Perhaps the Twins weren't impressed with Tosoni during his previous 13-game debut or maybe they wanted the added versatility Dinkelman has as a part-time infielder, but either way it's a surprising move. Dinkelman has shown some flashes of potential since being a sixth-round pick in 2006, ranking 39th on my list of the Twins' prospects in 2008, but he's always been a marginal prospect and was left unprotected for multiple Rule 5 drafts. He has enough bat to possibly be an asset at second base, but his glove likely isn't good enough to play there regularly and about half of his action in the minors during the past three seasons has come as a corner outfielder. He got the call-up after batting .296/.374/.402 in 50 games at Triple-A, but Dinkelman hit just .265/.336/.379 in 137 games at Triple-A last season and also hit just .282/.359/.413 in 181 games at Double-A. If he can play passable defense at second base and third base Dinkelman could be a moderately useful left-handed bench bat, but if he's more of a corner outfielder with emergency infield skills the odds of him hitting well enough to justify a roster spot are slim. • Joe Mauer and Tsuyoshi Nishioka are finally nearing returns to the Twins' lineup, but in the meantime Jason Kubel and Jim Thome are the latest in a long line of regulars to land on the disabled list. Neither injury is believed to be serious, but then again initial recovery timetables have lost all meaning by now. Kubel and Thome are the only hitters on the team with an OPS above .760, which turns an awful lineup into one that might not even lead Triple-A in scoring. Ben Revere should get a chance to play nearly every day with Kubel and Thome out, which will go a long way toward improving the outfield defense, especially if Gardenhire can talk Delmon Young into accepting starts at designated hitter. 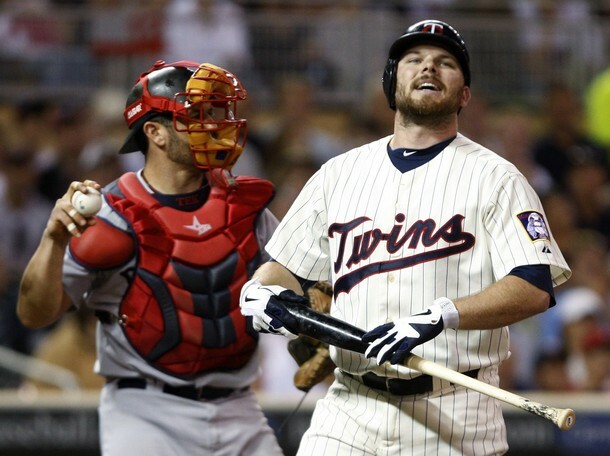 Revere's bat is a question mark, but this can give the Twins a chance to evaluate his readiness for a possible starting job in 2012. Because of his defense Revere won't have to hit a ton to be an asset while making the minimum salary. 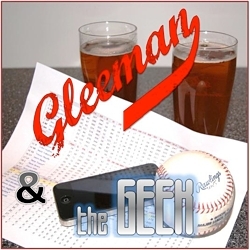 • Overlooked in the Twins' struggles is that the never-ending injuries have sapped Rochester's depth, so they acquired Jeremy Reed from the Brewers for "future considerations" that will be about as valuable as a bucket of baseballs (give or take the bucket). Hardly huge news, but once upon a time Reed was an elite prospect. He was the White Sox's second rounder in 2002 and hit .373 with twice as many walks (70) as strikeouts (36) and 45 steals in his first full year. 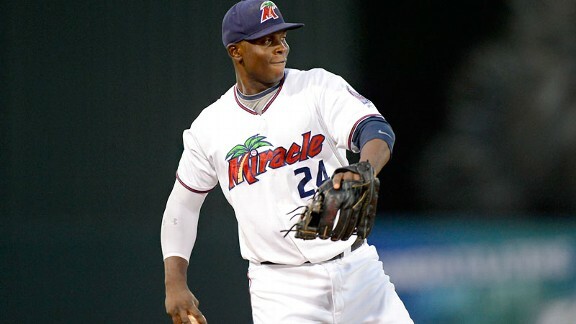 Baseball America ranked Reed as the game's 25th-best prospect in 2004 and that June he was traded to the Mariners along with Miguel Olivo and Mike Morse for Freddy Garcia and Ben Davis. Reed made his MLB debut in September, hitting .397 in 18 games as a 23-year-old, and Seattle made him the Opening Day center fielder in 2005. And he hasn't hit since, batting just .245/.301/.348 in 465 games with the Mariners, Mets, Blue Jays, and Brewers. Reed's power never developed, his speed failed to translate to base-stealing, and his contact skills were good rather than great, leaving a typical fifth outfielder. And even that's optimistic at this point, as Reed has hit just .263/.330/.390 in 123 games at Triple-A since last season. I've always liked Reed, ranking him higher than most as a prospect and suggesting in 2007 that the Twins consider him as a low-cost Torii Hunter replacement, but now he's just filler. • Speaking of injuries sapping minor-league depth, two of the Twins' best prospects recently went under the knife. Joe Benson, who was playing well at Double-A after ranking sixth on my list, will miss a month following left knee surgery. Angel Morales' luck is even worse, as the outfielder who ranked 11th on my list won't play at all this season and could miss a chunk of 2012 after Tommy John elbow surgery that he initially tried to avoid with rest and rehab. Benson and Morales join Aaron Hicks, Alex Wimmers, Oswaldo Arcia, and David Bromberg (plus Nishioka, technically) as preseason top-15 prospects to miss time already, which would be pretty remarkable if not for Nishioka, Kubel, Thome, Young, Mauer, Francisco Liriano, Joe Nathan, Glen Perkins, Kevin Slowey, Jose Mijares, and Jason Repko each spending time on the big-league disabled list. And we're only two months into a six-month season. Crazy. • This year's draft is a three-day event, starting tonight with the first round and compensation round. By virtue of last season's 94-68 record the Twins' first selection is 30th overall and then they also pick 50th as compensation for losing Orlando Hudson and 55th as compensation for losing Jesse Crain. As usual I'm expecting the Twins to pick high school outfielders and college pitchers while hoping for a college middle infielder. Check back tomorrow for some analysis. This week's content is sponsored by the Minnesota law firm Snyder Gislason Frasier LLC, so please help support AG.com by considering them for your legal needs. • Michael Cuddyer has hit just .160 in six starts at second base since Tsuyoshi Nishioka went down with a fractured fibula, but Ron Gardenhire announced that Cuddyer will be the primary second baseman until Nishioka returns from the disabled list next month. Gardenhire explained the decision by saying that using Cuddyer at second base allows him to get both Jason Kubel and Jim Thome into the lineup together, but that sounds far more valuable than it actually is. Against right-handed pitchers having Kubel and Thome in the lineup together is great, but that could just as easily be accomplished by simply benching Cuddyer versus righties, off whom he has a measly .379 slugging percentage since the beginning of 2010. And against left-handed pitchers Kubel and Thome both struggle anyway, so using Cuddyer at second base to get their left-handed bats into the lineup accomplishes little except weakening the defense. Cuddyer isn't potent versus righties and neither Kubel nor Thome are potent versus lefties, so Gardenhire making the move to get all three bats into the lineup suggests that he doesn't fully grasp the importance of platoon splits or is vastly overrating the player Cuddyer has become at age 32. Or maybe both. Either way, the Twins would likely be better off starting a superior defender at second base while benching Cuddyer for righties and Kubel or Thome for lefties. • General manager Bill Smith announced yesterday that Joe Mauer will not be ready to come off the disabled list when eligible Thursday, which is no surprise. Smith told Joe Christensen of the Minneapolis Star Tribune that Mauer is over the viral infection that caused him to lose 15 pounds and further complicated his bilateral leg weakness, but there's no official timetable for his return and a minor-league rehab assignment will be required before rejoining the Twins. Drew Butera has started eight of 11 games in Mauer's absence, with Steve Holm drawing the other three assignments. Butera continues to do a fantastic job controlling the running game, but the endless praise for his pitch-calling has continued despite Twins pitchers posting a 5.18 ERA with him behind the plate and he's hitting .147 to bring his career line to .188/.225/.278 in 190 plate appearances. Brandon Wood is MLB's only active hitter with a lower career OPS. • Smith also told Christensen that Nishioka "is on schedule, if not ahead of schedule" with his recovery that was initially expected to take 4-6 weeks from an April 7 injury, so that seemingly means he could be ready to come off the disabled list within a couple weeks. Gardenhire has obviously become increasingly comfortable with Cuddyer at second base, so I'm curious to see what happens if Alexi Casilla is still struggling by the time Nishioka is ready to return. • Speaking of Casilla, despite being a little-known role player two prominent national writers recently had notes about him in their columns that featured scouts giving unflattering reports. One scout told Jerry Crasnick of ESPN.com that Casilla "is too out of control for me" and "he's more of a backup.'' Another scout told Ken Rosenthal of FOXSports.com that "you see his lack of instincts when he plays every day." Tough to argue with either assessment, unfortunately. • I'm highly skeptical of Glen Perkins' early success given his 5.87 ERA in the majors and 5.49 ERA in the minors over the previous two seasons, but the combination of getting healthy and moving to the bullpen full time appear to have increased his velocity. He's averaged 92.4 miles per hour on his fastball compared to a career mark of 90.5. Perkins was never well-suited for a situational left-hander role, but being better versus righties can be a positive as a setup man. • It sounds like Kevin Slowey is on the verge of being ready to return from his shoulder injury, but because of the rainouts the Twins will likely need a spot starter Sunday against the Royals and between the injury and beginning the year in the bullpen Slowey's arm isn't stretched out for more than 50-60 pitches. Among pitchers already on the 25-man roster recent call-up Eric Hacker is the most obvious candidate to start. He has a 4.36 ERA in 311 innings at Triple-A. • Top prospect Kyle Gibson is actually in line to start Sunday at Triple-A, but calling him up to face the Royals that day is unlikely, to say the least. Gibson has certainly pitched well enough to warrant the call-up, taking a no-hitter into the seventh inning in his first start last week and striking out eight batters in six innings of one-run ball yesterday, but the Twins can delay his future free agency for an entire season by keeping him in the minors until at least June. • Justin Morneau missed six games with the same flu bug that got Mauer and Phil Mackey of 1500ESPN.com reports that he also needed a cortisone shot in his neck before finally returning to the lineup. Morneau is closer to breaking out than his bad numbers suggest, but his getting on track was tough enough without a week-long flu and neck issues. Delmon Young has also missed five straight games (and counting) with a rib injury, leading to some ugly lineups. • Swapping the much-maligned Scott Ullger for Steve Liddle as third base coach hasn't led to fewer head-scratching outs at the plate. In terms of MLB-wide criticism third base coaches may trail only umpires, as both jobs involve successes going largely unnoticed and failures being obvious. With that said, it sure seems like the Twins have had a particularly awful run with Al Newman followed by Ullger and now Liddle. Some friendly advice: Don't test Shin-Soo Choo. • Tommy John elbow surgery is much more common for pitchers, as the Twins have learned the hard way recently, but LaVelle E. Neal III of the Minneapolis Star Tribune reports that outfield prospect Angel Morales and shortstop prospect Estarlin De Los Santos both have ligament injuries that may require the well-known surgery. Position players generally recovery far more quickly, but the Twins have had enough trouble rehabbing pitchers to make me nervous. • Colin Wyers of Baseball Prospectus took a much different approach than I did last week in examining the "pitch to contact" advice the Twins gave to Francisco Liriano, but still came to essentially the same conclusion: "Rather than making him more of a pitcher, it would probably just make him a more ordinary pitcher." • Sergio Santos was a former first-round pick turned minor-league journeyman who spent half of 2008 playing shortstop at Triple-A for the Twins. Now he's the White Sox's closer. 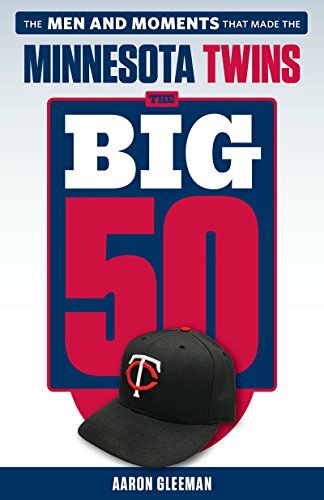 • Something to keep in mind as the Twins climb to .500: If you assume the Indians and Royals aren't going to actually win the AL Central then the Twins are just two games out of first place.